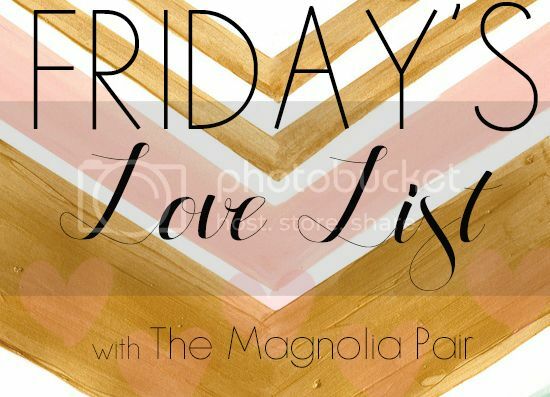 Gratefully Inspired: My Friday love list link-up! Today I am excited to join Britt's Friday link-up where all you do, is list a few things you love, shout out to a favorite blogger of yours and link back to Britt's blog via the cute button below! 1. Air-Conditioning. I mean in the heat of the summer AC is always crucial, but in the heat of the summer 1 week before your due date? It takes on a whole new meaning. Thankful we are able to have this luxury. 2. Lazy days at home with my tired pup. So this whole having a month-off-before-the-baby thing is pretty amaze. Once of those benefits is that Sevilla is always exhausted. Mainly because her prime nap times was during the day when mommy and daddy are working and now that mommy is home all day, well, there is no time for sleep! Too much fun to be had. So that makes for an always sleepy puppy. And basically, sleepy pups are the best kind of pups. I mean look at her cute cuddle bug-ness! 3. Waffles every morning. I never have time before work to make anything other than cereal and a smoothie. But now? It’s waffles every morning with some yummy sliced fruit. Sometimes if I’m feeling crazy I’ll even scramble some eggs. Gourmet breakfast for one? Yes please. 4. Sleeping later than my hubby. I kinda feel bad about this one. But just kinda. Every morning for the past month when he leaves for work I am still lying in bed all cozy. But then I remember that the other 11 months out of the year I’m the one leaving him cozy in the bed and then I feel like OK it’s my turn. some togetherness from last weekend on the golf course... well him on the golf course me behind the wheel of the fastest golf cart you've ever seen! 5. Date night/date day extravaganzas. Because we are so close to having a little bebe (1 week and 2 days from my due date eeeeeeeeeeeeek), Matt and I have really tried to take time to ourselves. We’ve said no to obligations and plans, and yes to laziness and togetherness. And it has been amazing. I’m particularly excited about this weekend because I believe it entails heading to a new breakfast spot that serves warm chocolate crepes. I die. Delish. 6. Playing the “What is she going to look like?” game with Matt. She, being the little angel that will be Georgia inside my belly. We play this on the reg. A few times a night usually. We always come up with different “concoctions” of ourselves. Like, Matt’s ears and eyes, but my lips for sure. Or his eye color (brown) but my eye shape (huge – I was called tweety bird when I was born). Anyway, we won’t have to play that game for much longer because she will soon be in our arms! Ok so that is 6 little things that I am completely loving lately. And now to give a little shout out to one of my very favorite bloggers – Brittany of Life of Charmings. Brittany is a mama to sweet Maddalena and her blog just makes me happy. She makes motherhood look effortless but in the most real kind of way. She’s not afraid to let her sweet girl throw peas on the floor, and seems to take in the world like I hope to as a new mama. If you haven’t seen her blog go check it out HERE! Tired, snuggly pups are the best! I so wish I could have waffles and pancakes- but no time! And Britt is the best! Our farmer's market has the most amazing crepes! Once again--thanks for the post inspiration!!! oh my gosh! i was admiring all of your adorableness and then i got to the bottom. you sweet thing!! thank you so much, pretty girl!! now, you keep your feet kicked up all you want for this last month, and don't you dare feel guilty bout sleepin' in, girly! you're about to have a BABY!!! eeee!! Waffles every morning?! Sign me up!!! :) Also, I love Brittany too. Everything you said about here is spot on! New follower from Brittany's link up :) We are also due to have our sweet baby girl very soon! Lucky you have AC, we're in the Seattle area and it is super uncommon to have it here...yuck. My husband Matt and I have been playing "What will she look like" game too. So exciting! Enjoy these last couple preggers days with you and your hubs! So glad you linked up, thank you!! And do not feel bad about sleeping in! Enjoy it while you can, you will miss those mornings when Georgia is here :) Although morning snuggles with a sweet newborn is so much better :) I cannot believe she's only a week away! I cannot wait to see her beautiful face!!! So excited for you!